I love modified fairy tales, but what I love even more is when they have strong girls at the heart of the story. Handsome princes, fancy castles, extravagant balls . . . in this girl-power fractured fairy tale, Cinderella learns that if it looks too good to be true, it probably is, and it’s better to create your own happy ending. Cinderella is dying to go to the ball. She’s seen pictures of the fancy castle and the handsome prince, she’s heard the fairy tales about true love, she’s found the perfect dress in Princess magazine and she’s even found an ad for a Fairy Godmother. She’s all set. Except the fairy godmother doesn’t look like the one in the ad. And the castle doesn’t look like the picture. And the prince . . . well, Cinderella decides her fairy-tale ending is going to look different–and be a whole lot more fun. 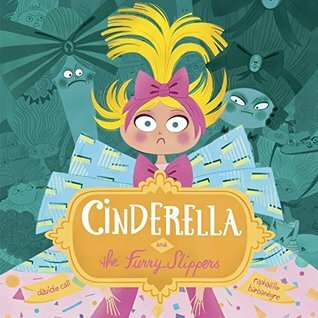 Cinderella and the Furry Slippers was written by Davide Cali and illustrated by Raphaëlle Barbanègre. It was published in 2017 by Tundra Books. Once upon a time there was a poor little girl named Cinderella who lived with a terrible stepmother and two even worse stepsisters. She spent her days housecleaning while her awful stepmother and stepsisters had tea and cake. This humorous take on the traditional fairy tale shows a strong female character who makes her own decisions. The author has created an engaging voice for the story and provided us with a non-traditional ending that leaves some room for speculation. This is a nice choice for showing students that princesses can be strong and make their own decisions—and maybe even try a different job. It would be interesting to compare and contrast this with a traditional version of the story. Draw/Write: What new job do you think Cinderella decided to try? Draw and write about it. Draw or write a story to show what happens next! A sad, disturbing but important book to read for adults as well as children. 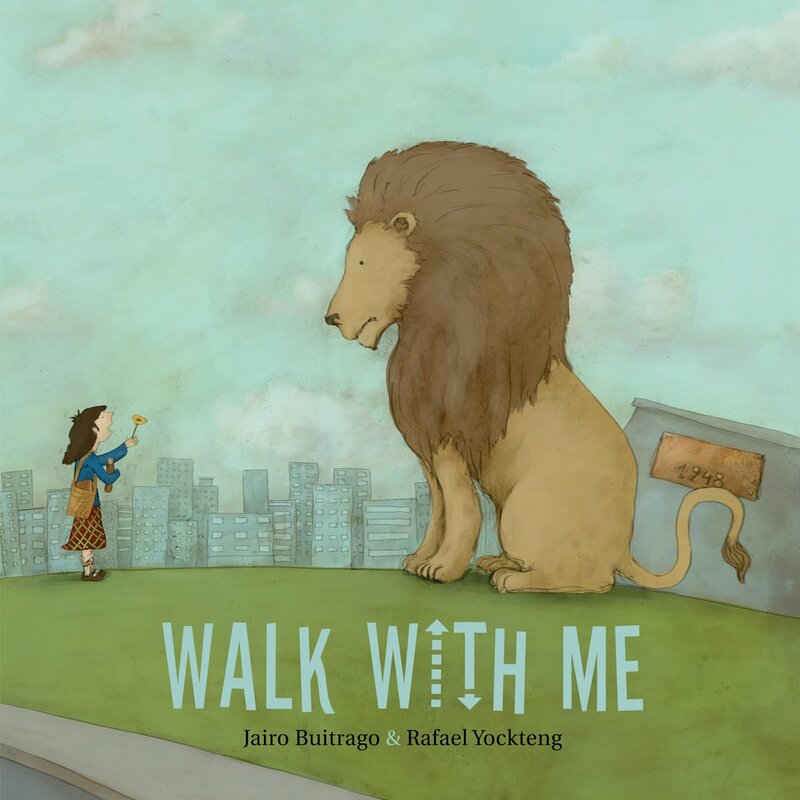 Walk With Me was written by Jairo Buitrago and illustrated by Rafael Yockteng. 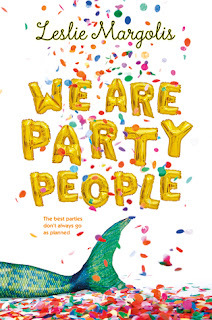 It was published in 2017 by Groundwood Books. on the long walk out of the city. A nice example of a simple text that provides a glimpse of a child who imagines as lion as her companion to help her feel safe. A lovely way to show a difficult life that may resonate with many young children. This story shows the reality of life for some children and a way to cope through imagination. There is a disturbing scene that depicts a man lying on the ground and a woman screaming, which may require a preview by the teacher and some thinking about how to respond to student discussion. Students may need guidance to make a connection between the picture with her father at the end and the lion that keeps her safe. A important book for a teacher's collection. If you were to have an imaginary animal to help you through your daily life, which animal would you choose? Paint a picture of your animal. Happy New Year! Thank you for your support of my book reviews and my blog! The process of choosing finalists made me more aware of the many stories that are available to share with my students. 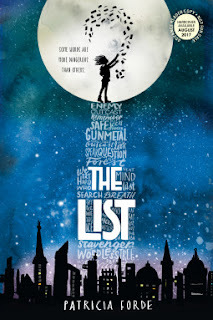 I now have my own list of books from 2017 that are “must reads” to introduce different topics in the classroom or would be just a lot of fun to enjoy with my students. (In case you are wondering, the review copies I received for evaluating these books will be donated to my classroom, my school, my school’s family learning centre and my local public library.) I love the knowledge I have gained and my increased ability to recommend some great books to families or teachers with particular interests or needs. 1) Many stories start off strong, but falter when it comes to the ending. Writers, pay more attention to your endings. Endings that are emotionally strong or offer a big surprise for the reader linger with readers. 2) Despite much of the advice we get as writers to be subtle about morals or being “preachy,” some rule-breaking writers straightforwardly state their message, but are able to weave it into the story effectively so it doesn’t sound overly didactic. This was really interesting. 3) Layers rule! The books I liked best all had different levels of interpretation and were fun to read for both children and adults. Humor plus a deeper level of meaning and a story that doesn’t overwhelm with words is a winning combination. Stories with a more serious tone stand out when they have a strong voice, authentic or specific details and amazing illustrations.